At the start of January 2019, Dr Jeff Evans, a Senior Lecturer in Physical Geography in the School of Social Sciences, will be boarding the 134m-long S. A. Agulhas II – one of the largest and most modern research ships anywhere in the world, which is able to break through ice a metre thick. The academic will join more than 30 international scientists from different scientific fields and renowned organisations on the Weddell Sea Expedition, which will attempt to locate and survey the wreck of Shackleton’s ship ‘Endurance’. Marine archaeologists on the expedition hope to find the vessel, which sank in 1915 when it became trapped and crushed by ice, forcing Shackleton and his crew to make an extraordinary escape by lifeboat, by using autonomous underwater vehicles (AUVs). However, the main objective of the multinational interdisciplinary research cruise is to investigate the ice shelves around the Weddell Sea and, in particular, the Larsen C Ice Shelf. The Larsen Ice Shelf is a long ice shelf – a floating sheet of ice permanently attached to a land mass – in the northwest part of the Weddell Sea that extends along the east coast of the Antarctic Peninsula from Cape Longing to Smith Peninsula. There are concerns about the stability of the Larsen C Ice Shelf, which have been fuelled by the calving of a giant iceberg (A68) in July 2017 and the recent retreat and collapse of the neighbouring Larsen A and Larsen B ice shelves. The breakup of an ice shelf does not have an immediate impact on global sea levels but ice shelves act as a barrier and their removal can cause acceleration of the glaciers that feed into them. The glaciers that drain into the Larsen C Ice Shelf hold enough ice to raise global sea levels by around 10cm and the production of A68 – which is 6,000km² – has experts concerned that Larsen C may be set to collapse. 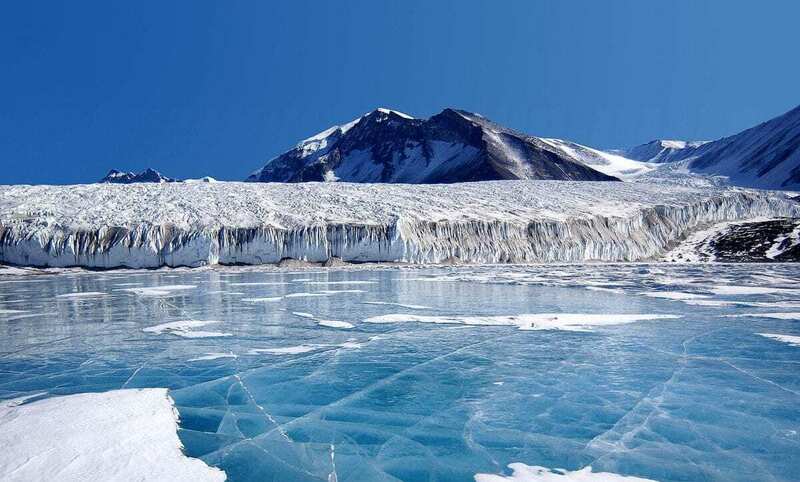 An understanding of the stability and the floating ice shelves surrounding the Weddell Sea over the last 10,000 years is needed to place recently observed changes within a long-term context. Dr Evans has carried out extensive research into ice-mass and environmental change in the Arctic and Antarctic and will be participating and co-leading the coring work on Larsen C.
The grounding line is the boundary where a glacier becomes a floating ice shelf. 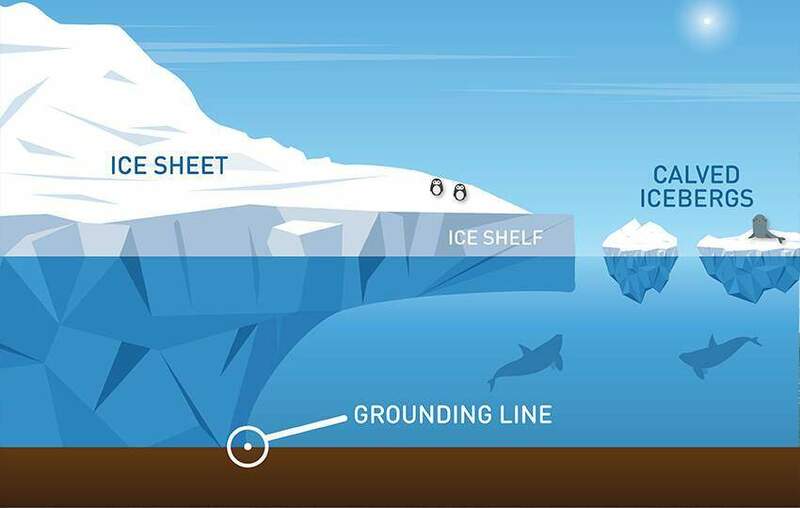 Previous grounding lines indicate how the ice shelf responded to temperature fluctuations over the last few thousand years and give an insight into how rapidly the ice advances and retreats. Understanding how the ice shelf has behaved before will help scientists predict the way it may react to future climate changes. Dr Evans said: “There are lots of questions about the stability of the Larsen C Ice Shelf that need to be answered such as: have the grounding lines of these ice shelves moved back and forward across the continental shelf and how has the Larsen C Ice Shelf responded to natural climate variability over the years? There is a lack of knowledge of the area as the sea ice in the Weddell Sea is notoriously thick – as Shackleton and his crew found out – and even today’s technology struggles in the region with the British Antarctic Survey having to abandon their efforts of getting close to Larsen C earlier this year. Satellite images of the sea ice have been captured and analysed every month to map out the best route for the research ship and the team are hopeful the trip will be a success. Commenting on the upcoming expedition, Dr Evans said: “The Weddell Sea Expedition will provide an unprecedented opportunity to investigate and explore one of the most remote, and least studied, places on our planet. “Floating ice shelves surrounding the Weddell Sea are important because they affect the stability of the Antarctic Ice Sheet, as well as ocean-current circulation. The Weddell Sea Expedition 2019 is being led by Dr John Shears FRGS andProfessor Julian Dowdeswell, of the University of Cambridge, and has been funded by The Flotilla Foundation, a charitable trust in the Netherlands. By uncovering vital new scientific data, the expedition hopes to improve understanding of the Weddell Sea and to use that knowledge to contribute towards the protection of the region. A live feed will be made available once the vessel embarks on the voyage. More information on the Weddell Sea Expedition and the different scientific research that is to be conducted can be found on the dedicated webpage.